Special Containment Procedures: SCP-1496 is to be kept in a small-item locker in Site-102. At this time, SCP-1496 is believed neutralized. Nonetheless, it is to remain in Safe-class containment until neutralization can be definitively confirmed. Description: SCP-1496 is a place setting, comprising a plate and several items of silverware. It no longer displays any ongoing anomalous properties, although records it has affected in the past remain in their affected state. SCP-1496 was recovered in a raid on the offices of an urban literary collective in Quebec, Canada. Prior containment procedures. Level 2 and up only. SCP-1496 during Experiment Series E3. Special Containment Procedures: SCP-1496 is to be kept in its own small-item locker at Site-102 unless tests are in progress. Given the fascinating nature of the item, it is envisaged that testing will be frequent. As such, for testing purposes the item is to be placed in a standard humanoid containment cell with the participant and, optionally, something to garnish SCP-1496-1. The experiences engendered by SCP-1496 need no cheap gimmicks; therefore, please note that no living being is to be placed on SCP-1496-1 without Senior Researcher approval. 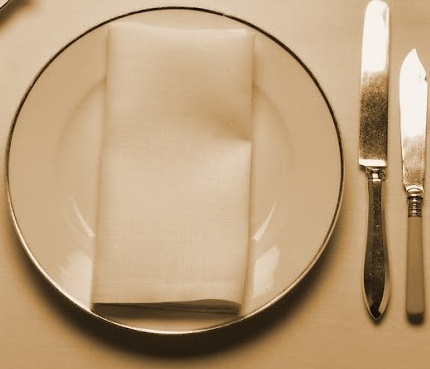 Description: SCP-1496, which consists of a dinner plate (SCP-1496-1) and accompanying silverware, is the single most appealing item the Foundation has yet contained. SCP-1496-1 is of bone-white china, so fine it is almost transparent; elegant accents set off the flawlessness of its ceramic work to perfection. The eating utensils that accompany it, wrought of the finest silver, are similarly exquisite. SCP-1496 displays several refreshingly interesting anomalous properties. Firstly, it compels anyone seated before it to review, whether by writing, art or dictation, anything placed on SCP-1496-1. These reviews will match the natural tone and voice of the participant. If the participant is later asked about their review, they will be unable to remember anything except having very strong opinions, thereby preserving an element of mystery. Further, it is impossible to make any sort of record of SCP-1496 itself other than as a review-like account. Fundamental details, such as that SCP-1496-1 is generally circular, will generally remain constant; finer details, such as the fish knife's wonderfully precise edge, will not. Reviews and accounts produced via the magic of SCP-1496 invariably exist in a state of superpositional flux, having a 50% chance of appearing either highly enthusiastic or highly dismissive. Unfortunately, no more types of review have been recorded. SCP-1496 was rescued from the offices of a radical urban-culture fanzine ("Som-Nu Déja GéNial - Le Super Zine") in Montreal, Canada, after a Foundation raid prompted by reports that the fanzine's notoriously polemical reviews had begun to spontaneously change upon re-reading. "The aroma is, in a word, irresistible; the perfectly-cooked beef and pork mixture caresses one's olfactory and gustatory senses in perfect harmony with the envelopment of its freshly-heated bun…"
"I can conceive of nothing on this Earth I would rather consume for my lunch, or indeed, any other meal. Perfection." Medium of response: Dr. Trebuchet made entries in her laboratory notebook, per her usual experimental practice. Observed plate, per procedure. Plate appeared empty. Clever choice - minimalist. Upon closer inspection, noted area of gaseous mixture immediately above plate: roughly 78% N / 21% O. Inspired - if must imitate, imitate one of the greats. Inhaled mixture; amazing effects: transmission of oxygen across the membranes of lungs and into bloodstream. Extended my lifespan (anomalous effect?). Summary: would def. breathe again. 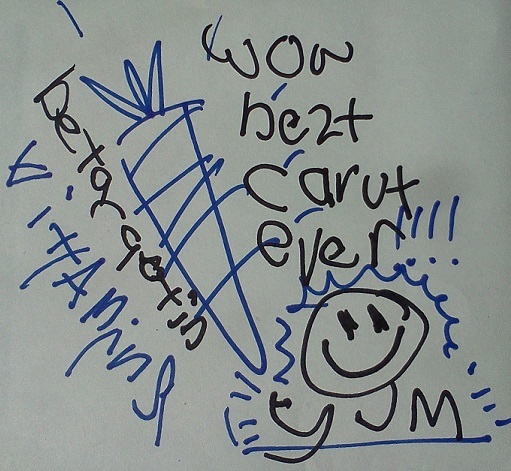 Participant: D-6464, who has a developmental age of circa 6yo and has expressed a mild dislike of vegetables.